The Heath Quartet are one of the most exciting British chamber ensembles of the moment and are being showcased by the Emerging Talent Scheme of the Wigmore Hall, with performances in the 2018/19 season featuring the quartets of Britten. The quartet’s debut CD was released in autumn 2015 on the Wigmore LIVE label featuring the Tippett quartets, winning the Gramophone Chamber Award 2016. This was followed by two discs recorded for the Harmonia Mundi/PIAS label featuring Tchaikovsky’s first and third quartets (November 2016) and the complete Bartók quartets (June 2017), the latter of which won the 2017 Limelight Chamber Music Award and was nominaed for the 2018 Gramophone Chamber Music Award – both projects were part-funded by the Quartet’s Borletti-Buitoni Trust Special Ensemble Scholarship 2011. This season the quartet has performances in Berlin, Manchester, New York, Philadelphia and Toronto, among others. Click here to download the Heath Quartet’s full 2018/19 biography. 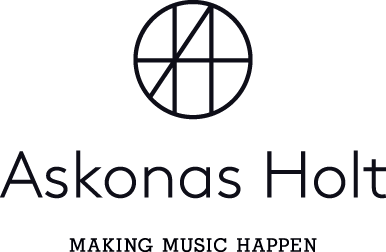 Askonas Holt extends its successful collaboration with El Sistema from Venezuela to encompass the Simón Bolívar String Quartet. The Simón Bolívar String Quartet has given concerts across Venezuela, throughout the Americas, Europe and Asia, performing in concerts as well as taking part in education and community events. In February 2012 the Simón Bolívar String Quartet recorded its first album for Deutsche Grammophon, which was released in early 2013. Created from within the Fundación Musical Simón Bolívar, the Simón Bolívar String Quartet is composed of principal musicians of the Simón Bolívar Symphony Orchestra of Venezuela. They have worked with such musical personalities as Gustavo Dudamel, Claudio Abbado and Sir Simon Rattle. Click here to download the Quartet’s full 2017/18 biography.